You may have seen Christie Brinkley promoting her skin care line, but after doing a little research into what treatments Christie has admitted to having, it was nice to find that she is quite honest about having MANY different treatments in order to look as youthful as she does at 63 years of age. Christie has listed Radio Frequency, (similar to the Venus Freeze Therapy we use in our 4-Stage Face Lifting Treatments) as one of the treatments she has had regularly in order to keep herself looking, not just amazing, but timeless. professionals, (that’s right ladies she has a whole team) are not OVERUSING injectable therapies, but are just using enough Botox and Filler therapies to finish off her look. Because Christie looks so good at 63 years of age it makes sense that she would create her own line of skincare products. It is NOT realistic however to think that using these products will gain you the same amazing effects Christie enjoys. Repairing the effects of the ageing process is not as simple as using a few skin care products (or a lot of ). The simple fact of the matter is, you will NOT gain the same flawless skin as Christie no matter how much you slather on her skin care products. Even if you take the next step and have a little Botox and Filler injectable therapies (or a lot) in conjunction with anti-ageing skin care, you will STILL NOT gain the same great looking skin as Christie. She has kept her skin thick and healthy over the years by using treatments that improve collagen, elastin, and blood vessel growth, addressing the problem of thinning skin head-on. This can be done by anyone if they first gain an understanding of what treatments do this and why they are integral to youthful looking skin. 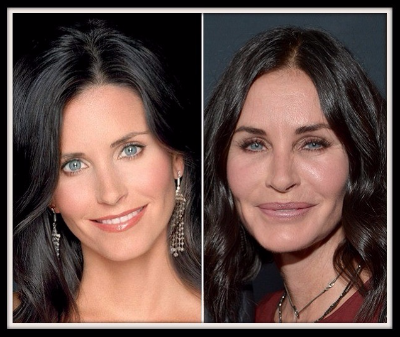 Courteney Cox’s pictured above Courteney’s face is an example of what can result from trying to hide the ageing process and not addressing the problem of thinning skin. As Courteney’s skin has been pulled tighter and tighter in some areas, and volume is added with filler therapy and surgical procedures to others, her eyes have become smaller and the features of the face strangely misshapen. Due to the effects of my unique treatment processes, I do not use injectable therapies, creating an overall healthy and youthful appearance to my skin by caring for the cellular functionality of my skin cells, keeping it thick and healthy with rich collagen and elastin growth. My feeling is that injectable therapies should be kept to a minimum, and used only to finish off a look, OR OF COURSE NOT AT ALL. In my experience, injectable therapies can begin cheaply enough as you start with minimal amounts of Botox, Dysport and or Fillers. Over time, however, more and more of these substances are needed to disguise the signs of ageing leading to more and more change in the overall shape of the features of the face and I personally did not like the overall effect this had on my appearance! 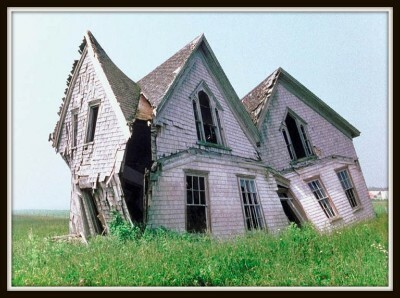 You can rebuild parts of the house as each problem appears, patching cracked plaster and holes in the walls and roof, moving furniture around to hide sinking flaws, maybe rebuilding a wall here and there, but in the end you are left with a house that is misshapen, and this is true of the skin and musculature of the face and neck as we age. If you do not have treatments that strengthen and lift the skin and musculature of the face and neck and keep the cellular function of the skin cells working optimally, your features may begin to collapse and fall. When parts of the face are flawlessly frozen and plumped by using injectable therapies, other parts of the face that look less perfect become more and more noticeable in comparison, often leading to the use of more and more injectable therapies. Treating the face and neck as a whole, thickening and strengthening the skin by addressing cellular functionality is the only way to lift the features of the face and gain a truly naturally youthful appearance. Going the next step and lifting, toning and strengthening the musculature of the face and neck provides a strong foundation for the skin to sit upon and is an integral final step to regaining and maintaining a youthful appearance. It is a sad fact that anti-ageing specialists such as plastic surgeons and doctors rarely address the underlying problem of thinning skin and hardly ever address the problem of depleting muscle mass resulting from the aging process. The first picture below is of me at 32, back when I was using injectable therapies. The second is of me now. I began my journey into finding the best anti-ageing treatments at just 28 years of age, after seeing fine lines and wrinkles forming quickly on my face and neck. Becoming frustrated with skin care products not doing what they promised, I graduated on to high-grade microdermabrasion and skin peels. Due to the cost of these treatments and their effects being so temporary, I learned how to do them myself and did a lot of damage to my skin, actually thinning the skin and causing it to prematurely age, worsening the problem I was working to correct! 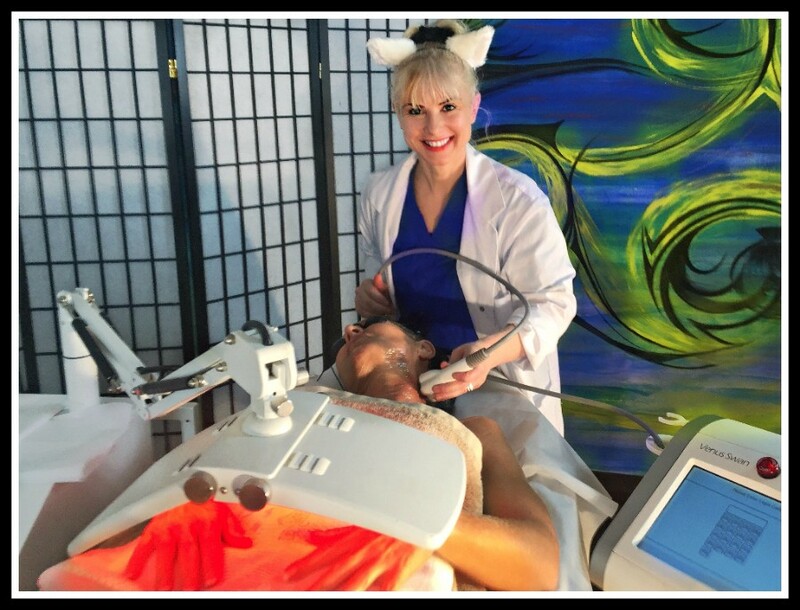 Nothing stops a woman on a mission, and I continued to search and learn until I found LED Light Rejuvenation, which enabled me to begin rebuilding and repairing the damage I had done. At around 32 years of age, I fell in love with Botox, discovering it was a lot cheaper than I had first thought, but found over time that Fillers were needed in order to make up the lost volume that the Botox was causing by depleting muscle mass in my face. With the features of my face becoming more and more rounded in appearance due to the Filler Therapy, I found and began using treatments that actually work to rebuild the skin and musculature of my face and neck, allowing me to give up using injectable therapies and gain a more naturally youthful look to my features overall. The unique combination of medical-grade Radio Frequency, LED Light Rejuvenation and Microcurrent Therapies used within my treatment processes address the underlying problem of thinning skin. Our core treatment service is the 4-Stage Face Lifting Process. Medical-grade Radio Frequency is utilized to thicken the skin, working to create new blood vessels, collagen, and elastin growth that makes skin appear thick and healthy as is evident on women such as Christie Brinkley. I offer all new clients this treatment for just $199 when they come for a consultation so they can experience my services whilst I explain how my unique treatment process work and the technologies I use to provide them. After your skin has been assessed you will be advised on which treatments will work best to gain you the results you are looking for, and be empowered with the knowledge that will enable you to make better decisions when choosing treatments for your face and body, whether they be with me or any other anti-ageing professional. Get in touch to book a first treatment/consultation for just $199. This enables you to actually experience our unique treatment process whilst we discuss your individual needs and you learn about the technologies we use to provide them.